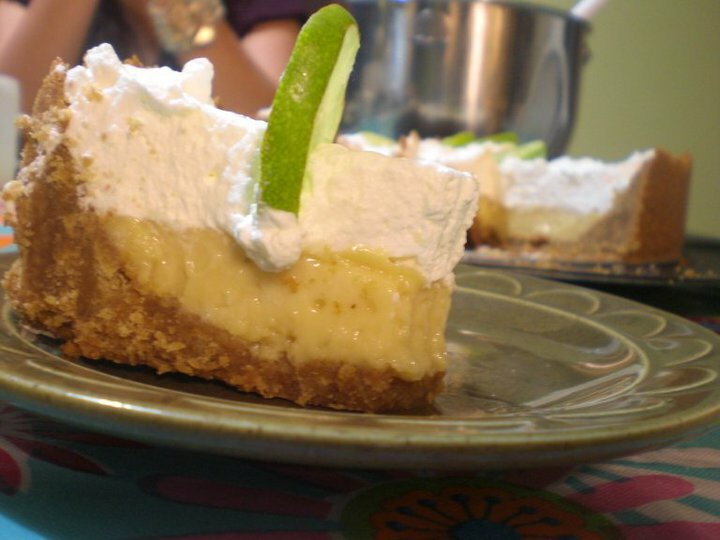 I never thought I would like key lime pie, but now I’m a huge fan! I normally don’t like super sour or tart desserts, but I guess the whipped cream, graham crackers, and condensed milk got me hooked! My cousin, aunt, and brother had been asking me to make key lime pie so I looked up a recipe and realized it’s just condensed milk and key lime juice! I’m not really that into making pies.. there was a chocolate silk pie at Village inn that my mom and I really liked. I tried making it and got pretty close but since there’s no Village Inn here I can’t compare the two! Anyways, here’s the recipe I got from gourmet sleuth. Mix the ingredients and press them into a 9″ pie plate. Bake in a preheated 350F oven for 10 – 12 minutes until lightly browned. Place on a rack to cool. Use an electric mixer and beat the egg yolks until they are thick and turn to a light yellow, don’t over mix. Turn the mixer off and add the sweetened condensed milk. Turn speed to low and mix in half of the lime juice. Once the juice is incorporated add the other half of the juice and the zest, continue to mix until blended (just a few seconds). Pour the mixture into the pie shell and bake at 350F for 12 minutes to set the yolks and kill any salmonella in the eggs. If you are using the whipping cream garnish, prepare the cream. Serve with a dollop of whipped cream. 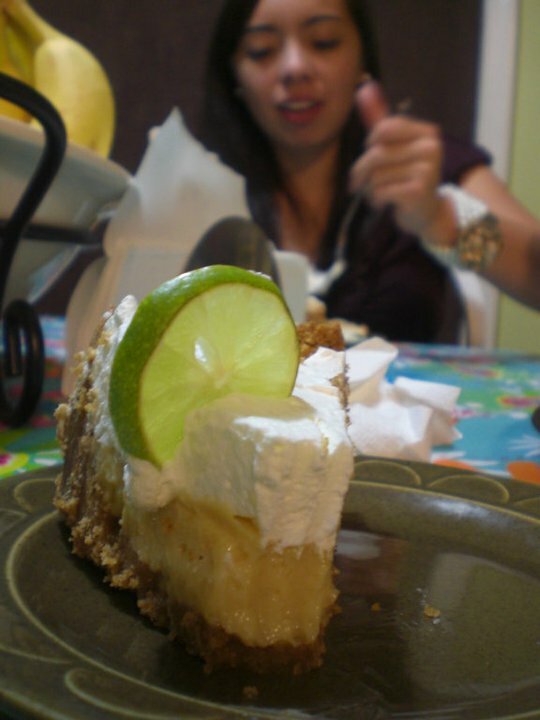 My cousin enjoying the pie made specially for her!